LILLY PULITZER CORALINE EYEGLASSES is one-of-a-kind pair of spectacles. 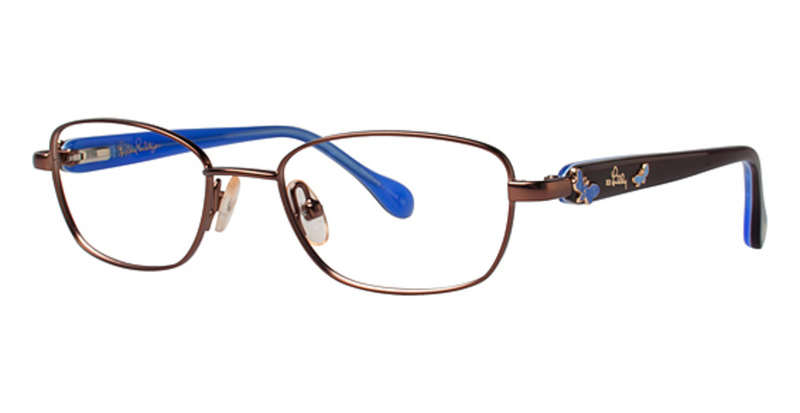 Made from highest quality metal, this navy blue colored prescription eyeglass frame is the biggest hype because of its unique design and fashionable appearance. Built to turn heads, this full-rimmed frame in the shape of modified oval makes a subtle gift for any modern woman. Progressive friendly in nature, LILLY PULITZER CORALINE EYEGLASSES are also available in shades of brown and lavender. Among the size options, you have the choices of 47-16-125 B30 and 45-16-120 B29.